We understand that you have something important back at home. Tell us what kind of home time you need, and we will be as responsive and accommodating as possible. 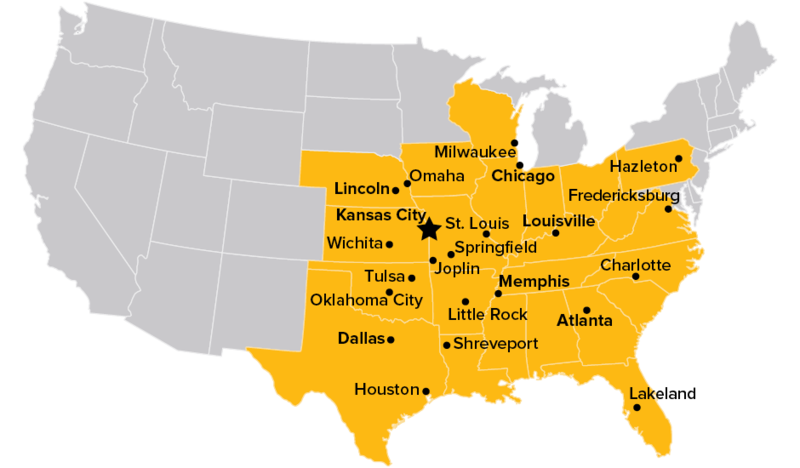 More than half our drivers are OTR, serving customers in a 22-state region (see map). Drivers at this level typically have higher mileage and income goals. One-third of our drivers make regional moves to areas around Kansas City, St. Louis, or Dallas, where we have drop lots. Whether you own your own truck or want to purchase one through MWEX, we can make it work for you. Most of our owner operators drive OTR. If you’re interested in lease-to-own, we have many trucks to choose from. See Compensation for pay rates for any of the above driver types. Midwest Express is a regional carrier, mainly serving the Midwest. Check the map to see where our drivers live. Reference the list below to see the most common locations for our drivers. Our customers are all direct-relationship shippers. We constantly add customers to minimize the company’s reliance on brokered freight.